The size of these labels is 3.7cm by 1.4cm. Labeling your personal belongings is easy! Depending on the use and surface of your item we have the right label for you. The size of the labels is 3.7cm by 1.4cm. Since it is a small label it can be used to mark small personal items. A more visible label is the 6.3cm by 3.8cm but it requires a larger surface area to stick. 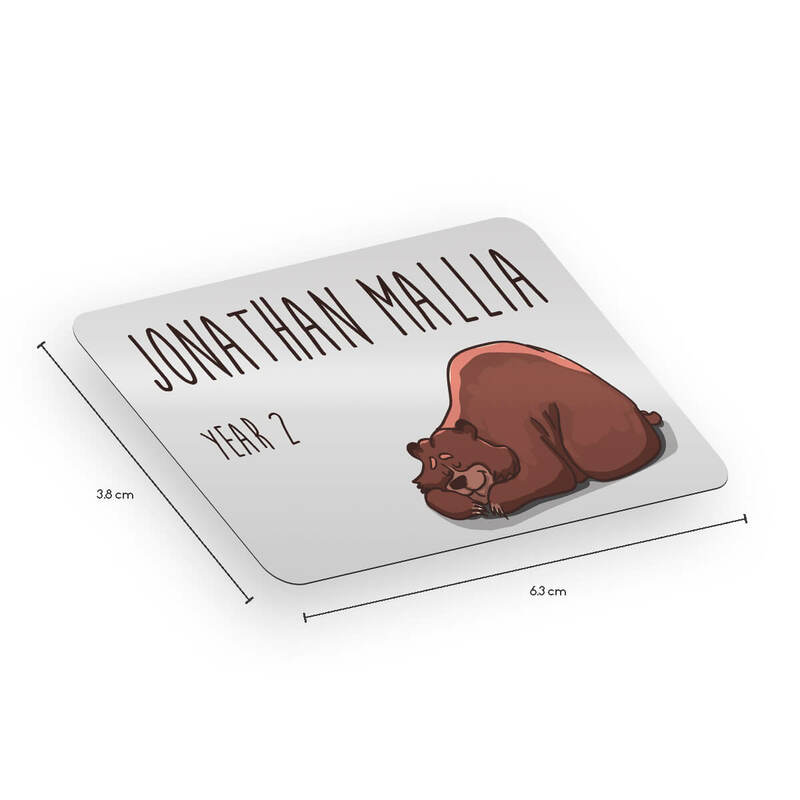 paper labels (not waterproof) – ideal for school stationery such as colour pencils.